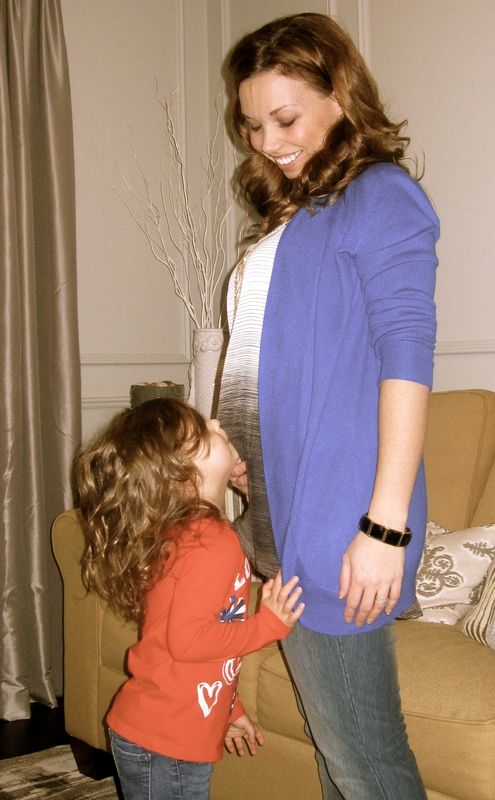 Life Shocker… Twins are on the way! You may have wondered why my posts had started to become few and far between. I am happy to say that initially it was because business was booming and I was hopping from one project to another but then I started to feel a little under the weather, and then very under the weather and did I ever have a reason why! Okay, lets back up a year. My husband Mike and I had always wanted a lot of kids. We had Holden and Beau back to back and Mike was ready to have a third and be done. I, on the other hand either wanted two or four kids. Being one of four kids myself, that kind of chaos always felt normal to me. Once I resurfaced after having our two, got out of the diaper stage, survived a very moody toddler and helped him along with a language delay I was beyond burnt out. I took an extra year for myself to work in design, then start my business and rediscover who I was besides being a mom. Initially I had toyed with the idea at stopping after two but I could tell that I wasn’t finished having kids. We started trying a year ago and despite getting pregnant with our two by pretty much looking at each other things just weren’t happening. The past year of trying and two very early miscarriages was filled with frustration, confusion and then finally acceptance. Maybe this was meant to be? By early November we decided to investigate before throwing in the towel. 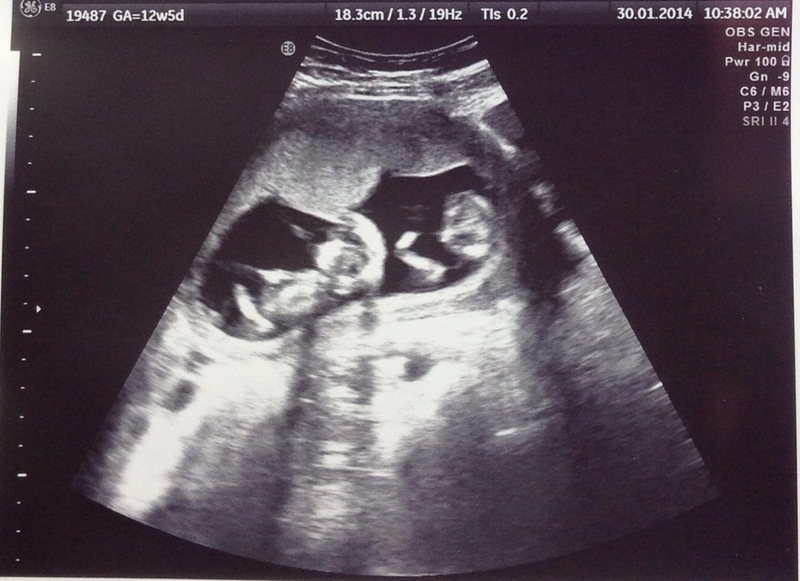 We had our initial meeting with a fertility clinic and was told to STOP WORRYING and RELAX. I would have to wait for a month before we could start investigating so I decided to take the month off. I already felt like it was now someone else’s problem and I should just enjoy life. We started having fun, going on a wine tour and lots of dinners out. By mid November the Norovirus moved through our house and after that I just couldn’t seem to kick the nausea and upset stomach. Honestly thinking I was still fighting off this stomach bug two weeks later I completely missed any signs that I could be pregnant, even enjoying a Christmas party along with the white wine! A couple days later after a home test and a couple blood tests at the fertility clinic I got my answer, I was pregnant. 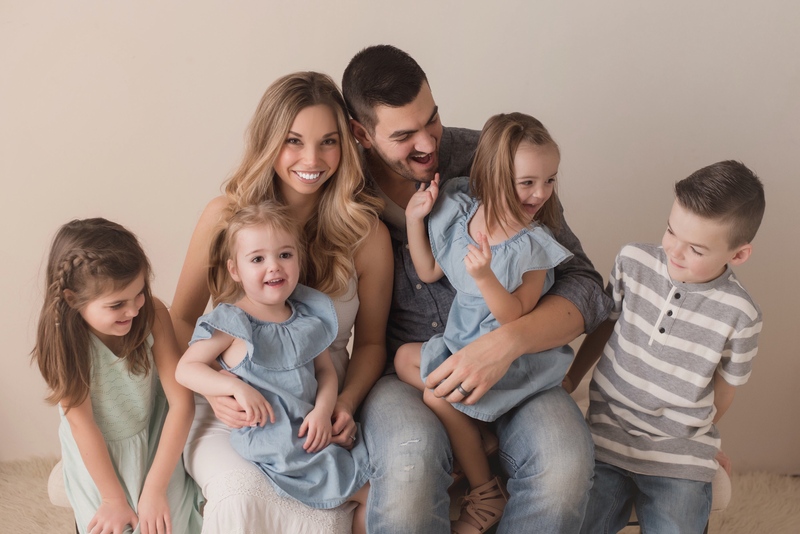 I tried to keep to my normal routine as much as possible but I couldn’t shake the feeling that something was not like my other two pregnancies. The nausea was relentless and the exhaustion was something I had never felt before. 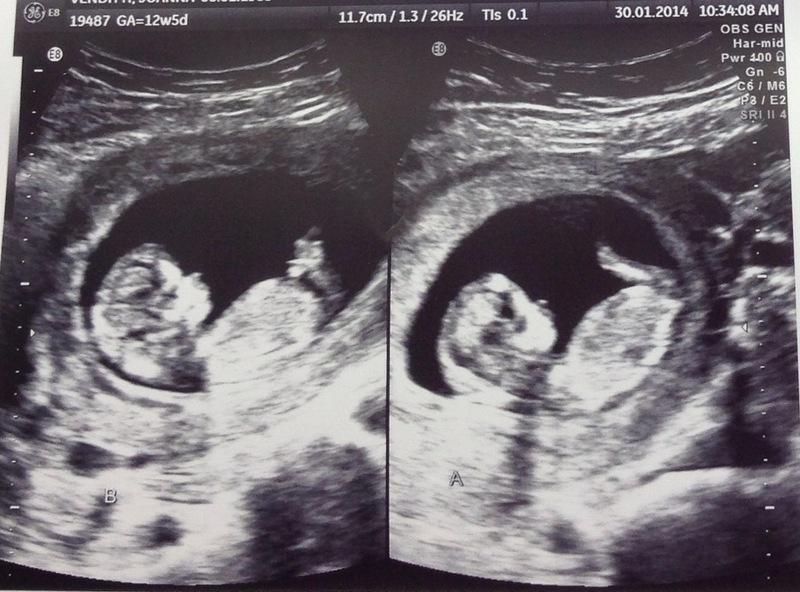 Because we had started the process with the fertility clinic I was able to get an early ultrasound at 7 weeks. I left Mike at home with the kids; afterall I had been to many ultrasounds before and didn’t feel it was necessary for him to join me. The ultrasound technician quietly did the ultrasound with the screen turned away from me. Because of the newly tightened information laws, I would have to wait until I spoke to the nurse after I was done. I took a quick peek at the screen while I was leaving the room and saw something a little alarming… two sacs! While I sat in the waiting room I tried to rationalize with myself, “maybe I was just seeing my full bladder beside the sac, besides I have never had an ultrasound that early before so I didn’t know what it was supposed to look like”. I texted Mike with a joking tone telling him what I saw. He casually said to just let him know how many carseats to buy. When the nurse called me in all I was waiting to hear was that there was a heartbeat. I can’t even remember how she told me but in a very cheerful tone she started to explain that there were two healthy heartbeats, both measuring at 7 weeks and 1 day. I literally started to laugh and couldn’t stop grinning from ear to ear. “I never even took fertility drugs or had any investigation done… I don’t even have twins in the family!”. She explained that because they were in separate sacs, had separate placentas and because there were only two (which I chuckled at) it wasn’t a high risk pregnancy, unless any complications cropped up. Everything made sense now! I walked into my home to my worried and curious husband wondering why it took so long and why he couldn’t get a hold of me. All I could do was hold up two fingers laughing with tears rolling down my face. After a lot of convincing that this wasn’t a joke Mike was thrilled, and surprisingly calm. We told the kids who were also over the moon and family members and friends soon joined in on the excitement. After a year, of emotional ups and downs I couldn’t help but feel that this special surprise was planned all along for our family! Now that I am having to pull back on murals and intensive work for a bit while focusing on growing two babies, my blog will be taking on a different tone in the meantime. I will be following my journey with twins and two older kids as well as blogging about the redesign of each of our kids rooms on a budget including a twin’s nursery and lots of DIY ideas. So stay tuned and share! Love it Joanna! Congrats on your doubly exciting news! I’m so happy for you both! What a great story. Can’t wait to hear more. Congrats! This is so beautiful Joanna! I will surely follow along your journey! <3 thanks for sharing! Love your journey. You are a great mother and the twins are very lucky. This is meant to be.